What is iSTAR Treatment and Why do I Need it? iSTAR Treatment is a non-surgical instrument-assisted soft tissue therapy for scar tissue in the body. 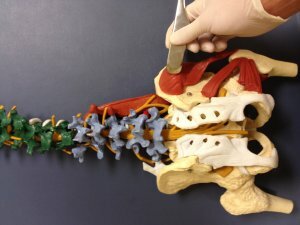 Now, what is soft tissue and scar tissue, and why is it in my body? Scar tissue is necessary for you body to heal from damage to the soft tissues. Like an individual's skin, our body heals with scar tissue when healthy soft tissue is damaged. The scar can be very clean and barely noticeable or the scar can be very disorganized and restrict normal surround tissue function.